On the left-hand side, we see the results of a computer simulation in which Eridanus II resides within a dense dark matter 'halo', as expected in the standard cosmological model. The star cluster (in green) rapidly dissolves in this model. We can, therefore, rule out this model since we see an old surviving star cluster in Eridanus II today. On the right-hand side, we see a similar computer simulation in which Eridanus II resides in a much lower density dark matter 'halo'. In this model, the star cluster not only survives but it grows to a size that matches the observed star cluster in Eridanus II, marked by the green circle in the middle. Credit: Observational image taken from Crnojevi et al. 2016; composite image produced by Dr Maxime Delorme (University of Surrey). The tightest constraints on dark matter come from the very smallest galaxies in the Universe, "dwarf galaxies". The smallest of these contain just a few thousand or tens of thousands of stars - so-called "ultra-faint" dwarfs. Such tiny galaxies, found orbiting close to the Milky Way, are made up almost entirely of dark matter. If the distribution of dark matter in these tiny galaxies could be mapped out it could provide new and exciting information about its nature. However, being entirely devoid of gas and containing very few stars, until recently there was no viable method for making this measurement. Professor Justin Read, a co-author on the study from the University of Surrey, added: "It is challenging to understand our results for Eridanus II if dark matter comprises a weakly interacting 'cold' particle—the currently-favoured model for dark matter. One possibility is that the dark matter at the very centre of Eridanus II was "heated up" by violent star formation, as suggested by some recent numerical models. More tantalising, however, is the possibility is that dark matter is more complex than we have assumed to date." The reason for the mistaken notion that some galaxies are missing dark matter is that the galaxy is so diffuse that it doesn't displace the dark matter outward and away from the galaxy to the degree that the dark matter is able to push back and cause the stars far away from the galactic center to speed up. Dark Matter does not exists. I think you have a flaw or flaws in your theory. Axioms? Premise? Modus Ponems? Universe of Discourse? Class by tomorrow produce any reason why this theory is unacceptable using Formal Logic. No you may not create a value of truth where it's a tensor space and fits the theory. Quite! Do it with 1 Axiom, 1 Premise, and less than 10 logical sentences that follow logically. No Sarcasm. OK, if its good sarcasm, extra credit; if it follows; then a bonus! Originality please. Sarcasm, expect any proof is simply boring. No "I Exist ... has been done", no definition of existence, I did it as a defined collective within an existing infinite universe. Obvious defining perception but ignoring the perceived. Proper Language People. Correct math having no beginning or end is not sarcasm, it's an insult or a fact! But why? Come on. This is a teachable moment. Cannot say " cuz it does"
It's elementary, a point in space. Well, note the use of Euclid as objects are defined. We give this point a name, charge. There is no empty space or time, for to perceive is defined by a sensor space. There are no preconceptions of a point, this point is defined as the center of a field that exists at every point in time as having a value everywhere. For this is how this point was sensed. ya da, ya da an infinite set of bipolar points from which everything is made manifest! I know something but to say it would destroy the universe. Don't listen to Hyperfuzzy. There are tons of dark matter. I lust started a xenon purification plant. I'll get you a good deal. Say $90,000 a bottle. And I have a lead mine for sale too. Cold Dark Matter fails for the 353rd time. Do physicists remember Einstein's definition of insanity? It is trivial to see from Schrodinger's equation that the wavelength associated with a particle is inversely proportional to its energy. Low amounts of dark matter in the center of the galaxies imply that the wavelength of dark matter particles is comparable in size to the galaxy itself. Not necessarily, but that's the implication. That means the particles must be extremely light to have a wavelength that long. This in tern means that the various dark matter detectors in place will almost certainly not see anything. Particles that light have vanishingly small cross sections for interaction. Actually, @nova, you seem to think dark matter is fine. You like black holes as dark matter. OK, @Joe, explain the Bullet Cluster with your equation. How do galaxies merge whith gravitational repulsion? The distance where gravity is zero is at approximately 1.419 X 10^22 meters, which is the diameter of the largest known galaxy, which I used as my baseline. The actual distance may be somewhat larger or shorter than this -- it would have to be adjusted in order to conform to the data. According to my theory, anything past this distance repels rather than attracts. To answer your question: Dust molecules closer than this distance would attract one another. Further than this distance would repel; however this is not accounting for whatever existing velocities the particles might have. If they have high enough velocity towards one another, then they may at times push through the repulsion distance and get into the attraction zone. Needless to say, this is a huge volume; I imagine that at the beginning of the universe a lot of matter was much closer together, allowing galaxies to coagulate (sure that is not the astrophysical term for it; but you get the idea). @ Da Schneib: I finished my hypothesis just this week, so I do not claim to have an answer for everything, but I will take a stab at your question: At the distance of 1.419 X 10^22 meters gravity is zero. Shorter than this it is attractive. Longer than this it is repulsive. Near that distance, gravity will be fairly weak, whether repulsive or attractive. Because galaxies can have different velocities relative to each other, it is certain that some of them will be able to push through the repulsion zone and make it into the attraction zone. What happens then depends on the original velocity. If it is high enough, then the galaxies might have momentum to pass each other and get into the repulsion zone again. If their velocities are not fast enough then they will coagulate to form a new larger single galaxy. @ Granville: My last two posts are relevant to your question as well. See, here's the problem, @Joe: you have to explain where the gravity is coming from when there's no mass there. Just modifying the equations of gravity won't do that. No. I don't. No one can "explain where the gravity is coming from" . That is like asking the questions "where did the big bang come from?" "Why does mass generate gravity?" "Why do positrons and electrons have an electric charge?" "Why does the strong force exist?" It is not at all necessary to answer these questions in order to predict how matter and space behave. My theory declares that the forces are a property of space that act upon matter, in contradiction to current theory that says that matter generates forces. "Why?" is a question for philosophers and theologians. @ Joe-Skippy. How you are Cher? I am good, thanks for asking. No. I don't. No one can "explain where the gravity is coming from" . Cher, I can "explain where the gravity is coming from" real good and I am glad with myself for being able to help you with that. The gravity comes from mass, more mass means more gravity, less mass means less gravity, no mass means no gravity. Where you did think it comes from? The nice peoples at physorg? That is like asking the questions "where did the big bang come from?" "Why does mass generate gravity?" "Why do positrons and electrons have an electric charge?" "Why does the strong force exist?" Maybe that is what is tripping you up Skippy. Why and Where is two different words that mean different things. Da-Schneid-Skippy is a real science trained Skippy like you probably are not,,, he shows it by being really careful about how he throws out a "Why". No. I don't. No one can "explain where the gravity is coming from". Sure we can. It comes from mass. See, this is the problem: there's no mass where the gravity is. Whatever conjecture you make, in order to become a hypothesis, has to answer the question, Why is there gravity around the Bullet Cluster where there's no mass? And if your conjecture doesn't answer that question, then it can't be a hypothesis. Maybe we are talking past each other then. Let's back up. What specific phenomenon about the bullet cluster are you saying my theory cannot account for? Did you see what I posted about the different interactions as regards velocities? Can you be more specific in what you're asking? Because I thought I answered the question that you were asking. @ Uncle-Ira: you are very entertaining. Very talented at doing voices. I have my moments Cher, but if you are going to peddle a GREAT BIG NEW THEORY OF HOW THE SCIENTISTS ARE MISSING WHAT'S REALLY GOING ON you better be 1) Really educated. or 2) Having the really thick skin. or 3) Prefer your headgear being the silly looking pointy cap style. Because there is a lot of couyons here competing for attention. Lensing around the bullet cluster indicates a much larger mass than what can be seen. My theory explains this. Because gravity at large distances is repulsive, the lensing effects of distant galaxies surrounding the cluster push light in the opposite way from what scientists are expecting from current theory. I.e. the surrounding galaxies push the light away from them, and towards the bullet cluster. Current theory explains this by supposing there's a bunch of dark matter in the cluster that is accomplishing this. @Joe, the gravity effects of dark matter are clearly visible well separated from the visible mass of both galaxy clusters. I can't see how a modification of the equations for gravity can make that happen. But it's quite easy to see how it can happen if visible matter interacts and dark matter doesn't interact. Like I said, there's gravity coming from a place we can't see anything. If there's no mass there, where's the gravity coming from? Because mass is the only thing we know of that makes gravity. You are not responding to what I just said: To account for gravitational lensing effects, according to my theory, one must factor in the repulsive gravity effects from nearby galaxies -- since they push when current theory expects them to pull, they are unaccounted for when trying to calculate the "hidden mass" of dark matter. I keep explaining this, and you keep not responding to it. As the Wikipedia article says, "At a statistical significance of 8σ, it was found that the spatial offset of the center of the total mass from the center of the baryonic mass peaks cannot be explained with an alteration of the gravitational force law alone." 6σ is considered a high enough significance to announce a discovery; 8σ is an orders of magnitude higher significance. I don't think there's much room left for field adjustments after that. If you've got calculations that show this field effect causing lensing where there is no matter, please present it. If you don't I'll assume you don't have such calculations and move on to more interesting conversations. Hate to be so direct but we get a lot of this sort of thing here. That's the price we pay for an open comments section. I'd be very interested to hear how you think a field is projected along the line of motion and not out from orthogonal directions. The pictures are pretty clear on this. It's also worth mentioning that other cluster collisions have yielded evidence that is similar if not quite as dramatic. This is not one isolated instance; it appears that quite a few colliding clusters show the same dynamics. I have read attempted MOND and other field modifying hypothesis explanations for this and none of them accounts for the fact that the lensing occurs only ahead of the gas and galaxies, not out to either side. Your proposal has this same fatal flaw, @Joe. As far as specific calculations -- you are right; I do not have specific calculations, but I am proposing something that can be calculated. As far as showing lensing where there is no matter: I have explained this several times, and you refuse to directly answer my explanation: Nearby galaxies cause light to bend towards the cluster; because this is completely unexpected behavior, this is not looked for. The possibility of a nearby galaxy bending the light away from itself and towards the cluster is the opposite of what is expected. You keep saying that I'm positing there is no matter causing this, and I keep explaining what matter I am talking about -- and you keep ignoring what I am saying. As far as "along the line of motion" , my theory posits that there is a flip that occurs at a certain distance; this means that as the cluster moves forward there are going to be cases where the light suddenly changes from bending away to bending towards. But you still haven't explained why it doesn't do that all around the cluster, not just in front of it in the direction it's moving. Also, they scanned the whole field of view for lensing; you'd need to show from the methods section of the original paper (the Wikipedia quote has a footnote that links to the paper) that they would miss lensing just because it wasn't in the expected direction. I don't think the algorithms work like that; they look for lensing period, in all the field of view. Any other procedure would be open to question, and would be questioned by alert astrophysicists. An algorithm that requires that sort of directionality would be questionable too, and alert astrophysicists would point it out and nobody would use it. See, you need evidence for assertions like this. It's how they do science, y'know. You will note that they mention using a square box around the clusters, 6.7 arcminutes on a side. You can't have the two ends inside that box without having the sides in it too. It's simply not possible, geometrically. Until you can explain why there's no lensing to the sides, you're not going to get anywhere. Moving right along, the software they used is open source. Feel free to examine it and tell us why it won't detect all distorted galaxies in the field of view, no matter which way the distortions are oriented. This seems pretty straightforward to me, considering how image analysis tools work. I will try to educate myself about this, thanks. I would like to ask that you consider what I am saying and see whether you, being more educated than I am about this, might be able to explain it in a way consistent with my theory. In the mean time I will carefully consider what you're saying. Question: Is there a galaxy forward of the cluster in the direction it is moving in? That would explain why there is lensing from that direction. When I say "they weren't expecting it" I am saying that when they find it, they do not suspect a nearby galaxy to be causing it because according to current theory it would be going the other way -- thus they suspect dark matter. As far as the distortions in the field of view, it is not clear to me what you are asking. The distortions are how you detect lensing. Only background galaxies are lensed. They report 12 background galaxies per square arc second, so they detected nearly 600 background galaxies in the image. The galaxies in the clusters (not the background galaxies) are very near to the dark matter; they don't interact much except gravitationally, like the DM. But the DM (and the lensing) is still ahead of them, because it interacts even less than the cluster galaxies, though not by nearly as much as it's ahead of the gas. This thing about the lensing not extending out to the sides and behind the galaxy clusters is really telling; the amount of gas involved is considerably more mass than the cluster galaxies. If it were a field effect, you would expect the lensing to follow the gas, not the galaxies, and certainly not preceding the galaxies. And .... if I am understanding what you're saying, it does detect all "distorted" galaxies in the field of view; but the distortions are attributed to dark matter rather than the repulsive gravity of nearby galaxies. Reinterpreting the data, IF this theory happens to be correct, would take quite a bit of effort. How does the dark matter hypothesis explain galaxies like NGC1052–DF2 ? Where there is no need of dark matter detected? Where the rotation appears completely normal? My theory says that if a galaxy, like this one, is located far from other galaxies, then there would be no effects from the repulsive force of nearby galaxies? How does your theory explain it if dark matter supposedly makes up 60% of the universe? Again about the lensing: If there was a galaxy in the foreground, in the direction of travel of the cluster, then it would have the lensing effect that you're describing, according to my theory. This is why I am asking if there is a galaxy in the foreground, in the direction of travel. So much for arbitrary properties/behaviors 'needed' from "'exotic' Dark Matter" to 'explain' the 'guesses/interpretations' of/for what is 'seen'! It started OK many decades ago when Zwicky first posited (then) unseeable (ie, "dark") ORDINARY Matter for observed galaxy-cluster motions. 5) but 'reactivity' NOT observed!...so what now? Joe1963:- why is this formula all over the web and the link - general relativity - I am a high school Physics teacher that would ...https://physics.s...-on-dark on the linked page has a message "This question was removed from Physics Stack Exchange for reasons of moderation." Joe1963 No. I don't. No one can "explain where the gravity is coming from" . That is like asking the questions "where did the big bang come from?" "Why does mass generate gravity?" "Why do positrons and electrons have an electric charge?" "Why does the strong force exist?" It is not at all necessary to answer these questions in order to predict how matter and space behave. My theory declares that the forces are a property of space that act upon matter, in contradiction to current theory that says that matter generates forces. Dark Matter does not exists. possibly true given I know there is at least one creditable alternative to dark matter theory BUT you certainly cannot validly state that as if it was a fact because it is currently about equally credible that dark matter exists. Time will tell but for now it is too early to say which is true. I think you have a flaw or flaws in your theory. Axioms? Premise? NO, there is currently no known flaw in dark matter theory and its premise is the current evidence for it (observable way galaxies rotate that imply the existence of invisible matter) which shouldn't be confused with proof. Dark matter theory is just an example of the way good science works. Even if it is later proved false, that doesn't mean it wasn't ever a valid scientific theory because the fact would remain it was evidence-based. And it is no good simply asserting a theory is false if you neither explain a better one nor explain how it is nonsense. Worship at the Alter of Darkmatter! As you've described it reaches Critical Mass then the inevitable happens, you worship at the altar of darkmatter, and whatever its disciples can conjure out of thin air. It falls foul of Murthy's Law! RealityCheck> So much for arbitrary properties/behaviors 'needed' from "'exotic' Dark Matter" to 'explain' the 'guesses/interpretations' of/for what is 'seen'! Joe1963:- to be able to predict how matter and space behave it requires an understanding of gravity electrons neutrinos, quarks which make the proton, electric charge, how can you come up with a theory of gravitational repulsion at a distance not knowing gravities connection whith mass, its proportional to mass, it force obeys the inverse square law where its gravity remains atractive force irrispective of distance to the end of space 15billion light years, of course your coming up with bizaar theories not know the properties of your chosen subject, gravity is only attractive. Joe1963> No. I don't. No one can "explain where the gravity is coming from" . That is like asking the questions "where did the big bang come from?" "Why does mass generate gravity?" "Why do positrons and electrons have an electric charge?" "Why does the strong force exist?" It is not at all necessary to answer these questions in order to predict how matter and space behave. Joe1963:- have you realised what you are doing! It's not for you to decide at what point gravity changes from attraction to repulsive then back to attraction so that it fits all the parameters of your theory and fits all the question regarding your formula so in theory you have covered every actuality, then a new parameter comes along, you have to tweak your formula again, suppose you apply this logic to Einstein's E=MC* , then since 1919 it means it has been added and tweaked as it would for eternity if it was your formula. Einstein based it on what he famous for, the photo electric effect for which he got the Nobel Prize. Your admitting knowledge of your subject is not necessary, and well is said and done; Gravity is only an attractive force! Where the study points out star clusters are so dense that their stars gravitationally scatter from one another causing them to slowly expand, this is simply orbital mechanics, there is a guiled implication here the scattering and slowly expanding, is some form of gravitational repulsion, which it is not. "I am proposing that the fundamental forces are not dependent upon the distances between objects. Instead, each force is dependent upon a specific angle." which would immediately completely render your proposed theory a nonstarter because if the above assertion is correct then we would have noticed it over the short distances in the lab and yet it is very clear from the physics experiments in the lab that the forces, such as the electric force, IS dependent upon the distances between objects as, for example, the force between two oppositely electrically charged plates is measured to decrease as the distance between them is increased. Your theory is also contradicted by such observations of how planets orbit stars etc. You could have asked whether gravity oscillates between repulsion and attraction at varying distance's, infact you stll can as long as you don't mention your theory, but you know the answer. @humy: I teach Physics. My theory is a little more subtle than that. Please read further. The only way the adjustment that I am talking about can be noticed is at more than galactic distances -- at any distance less than this, regular theory would line up so closely to my theory that no difference could be noticed. Please read a little more and give it a chance. @granville: There would be no "oscillation" according to my theory; there could be only one "flip". This is because the smallest angle between two objects can never be more than 180 degrees. Believe me, there are many legitimate means of criticizing my theory (see Da Schneib's comments above -- they are valid criticisms) but you have not touched on one yet. Joe1963:- No one is objecting to your theory Joe1963 of gravitational repulsion and attraction at various distances, all everyone is asking by pointing out; gravity is only an attractive force, this point is the main defining criteria in your theory without which you have no theory, what anybody is objecting to is your refusal to accept gravity is only attractive as you point out "I still think that I am right" which means in combination with "but I am unqualified to "prove" what I am saying" you have no intention of accepting what is being pointed out and that we in time will come to accept what you're saying. You have tempered this by saying "for now" well joe1963 it is "Now" accept reality, gravity is attractive and change your theory accordingly so there is no reference to repulsion. Joe1963> I still think that I am right, for now, but I am unqualified to "prove" what I am saying. This is a play on words Joe1963. An oscillation is a flip because it will flip back to original state, which is an oscillation. This is not a criticism of your theory, this is a plays on words that is a physiological way you're trying to co hearse others into believing in your theory! And you admit to teaching physics? So the secret is out now, a physics teacher who does not know gravity and mass are linked and does know gravity only attracts, is using physiological tricks of the mind into hoodwinking others into believing a theory of gravitational repulsion, that just about takes the biscuit, I'm glad i'm not in your class! As yet im not exactly sure where this leading, but from the various snippets there's two definites; gravity is not getting weaker or stronger but the sun is getting smaller less massive the force of gravity is proportional to mass so the force on mercury is less, how did the unchanging gravitational constant come into this theory, this is why their are so many fruit cakes with cups of tea at tea time. This is the same, don't you think? There is no way how to decide, if the mass shrinks or gravity constant shrinks, because they're both related by gravity law. But we have another more direct indicia, that the whole solar system (not just Sun or Earth) undergoes changes. http://science.sc...50/1080. Speed of light is indeed changing too - it actually https://i.imgur.com/yOT26Hb.gif until we did use the iridium meter prototypes for distance measurements. Mainstream physics "solved" this problem by claiming the light speed constant by the very definition of S.I. metric system - but the problem continued with kilogram unit instead. I see psychological tricks in their application, you have just experienced my perception with the physics teacher, i do not use psychological tricks my self because i do not have fixed theories they change or get discarded in mid conversation. every one is different and my differences are what you see, for e.g. i'v yet to a see a conving reason to to believe in darkmatter as their are psychological tricks, why do you even think of believing in darkmatter as a physics entity, belief does not come into it, why do you think psychological tricks are used in darkmatter discussions. i use word for spelling but sometimes its not neccesary i get the feeling english is not your first language. Your posts resemble Chinese manual of Arduino clone for me... Try to use Google translator and some grammar check at least... At any case, I don't understand how it should be relevant to apparent space-time metric changes. These changes were spotted just by using of atomic clock. It doesn't matter if you believe that dark matter is "physical entity" or not - it's still observable phenomena. It looks like lensing from outside, so it slows down light / dilates space-time / weakens forces from inside. That's all. Unbelievable! So you teach physics and say that the distance between objects has nothing to do with the force between them! So the force between two charged particles doesn't change as the distance between them increases? Or the pull of gravity on you doesn't decrease as you travel away from the Earth? Do you 'teach' this? This goes against modern physics backed up by observation and experimentation. What kind of text book do you give your students that says distance between objects has nothing to do with the force between them? That above assertion directly contradicts what you said. How can force be independent from distance AND dependent on distance? Humy; I will repeat myself. My theory is more subtle than it appears at first glance. If you will read it, it will answer your questions. There is plenty to disagree with, and plenty to criticize, but you have not done that yet, because your comments are criticizing something that you haven't taken the time to read. Humy; I will repeat myself. My theory is more subtle than it appears at first glance. If you will read it, it will answer your questions. Hmm..at first glance not even the units check out. I hope you don't teach physics to humans. Everything is defined by Maxwell, any theory that detracts is nonsense! 1. Forces are not generated by matter; instead, they are a property of space that act upon matter. 2. Forces are dependent upon an angle, rather than the distance between objects; to put it another way: they are dependent upon the distance between objects only indirectly. Skip trolling for a few minutes and give some feedback. Basic question, if forces act on matter what do they act on? Trolling and ridicule are very easy. Well, yeah...when you post a formula and expressly say the force is given in Newtons, but the stuff on the other side of the equations doesn't come out to be in Newtons. Sooo...yeah. It's pretty easy to ridicule that. Particularly since this pretty much makes you an impostor (claiming to teach physics when you don't even know the most basic stuff about physics). Much more so: it makes you a total Dunning-Kruger type thinking you could even get away with that for a second (and you put quite some effort into it while thinking that...which makes you singularly dumb Dunning-Kruger type). You heaped this ridicule on yourself by claiming to be what you are not and then expecting people to take you seriously. No such luck. Better reregister under another name and try again. This one is burned. This brings some sanity into the world of Sir Isaac Newton, at least we can teach it to teachers who are now teaching we adults! A physics teacher who does not know gravity and mass are linked, it can not be repeated to many times - I'm glad I'm not in your class! Joe1963> Humy; I will repeat myself. My theory is more subtle than it appears at first glance. If you will read it, it will answer your questions. There is plenty to disagree with, and plenty to criticize, but you have not done that yet, because your comments are criticizing something that you haven't taken the time to read. On space, idiot ... Oh, wait, ... that doesn't seem to quite make sense. What is the real secret of F = (1.047 X 10-17) m1m2 [-cos(Θ)] / r2 where tan Θ = r / (1.419 X 1022) what is this formula supposed to represent? The real questions for Joe1963 are why admit to not knowing the accelerative force of gravity then go on to producing a formula on the decelerative force of gravity that alternates between the two, like a neutrino changing energy levels in flight. How did Joe1963, know whether gravity has a decelerative force or not. (If we are to believe Joe1963, gravity for all he knew is what you put in gravy to give it its texture). Joe1963 You knew along gravities gravitational constant. Back to the real world Joe1963, you knew all along the laws of gravity and the constancy of gravities gravitational constant 6.67408 × 10-11 m3 /kg/ s* and its singular accelerative force, because you are using gravities constant in your formula to calculate the accelerative and decelerative forces in galactic clusters. You may fool some people part of the time, but you will not fool everyone all the time! But this is all beside the point; there are no Nobel Prizes to be won and as theories go Joe1963 this one of yours is at first glance is a particularly good one, even though it did not pass my first question and my second question. Skilled in using psychological tricks on the mind! What caused your theory to collapse Joe1963 was the arbitrary way the gravitational force changed from acceleration to deceleration in flight depending on environmental conditions and meeting the questions of inquiring minds, which is where you utilised your skill in psychological tricks on the mind to its full potential. Well done Joe1963. @ Da Schneib: Forces act to minimize the torque-like forces that are dependent upon the angle described in my theory. It is not quite correct for me to imply that distance between objects is not a factor; obviously the distance affects the angle described, and vice-versa. Looking at things this way explains why gravity can reverse; i.e. there are two ways that the energy state can be decreased. If the objects are close enough, the energy state can be decreased by their coming closer together, because one single perspective is less energy than two competing perspectives. If they are far enough apart, then force will act to push them even further, so that their effect upon each other heads towards zero. Either way can reduce the energy state. This also has the potential to explain spooky action at a distance: According to my theory, the entangled objects are dependent upon a shared angle rather than dependent upon distance; I have not the skill to work out the particulars, but I am hoping that someone with the requisite skill will look into it. @Granville: No "tricks"; obviously my theory had to be consistent with current theory at normal distances; this logically necessitates using the gravitational constant in my theory. I am not trying to fool or trick anyone; I am trying to posit a new hypothesis, and I would like some people with greater skill than I possess to at least give it a try and possibly work out whatever mistakes and inconsistencies there are .... then, it will either fit the data or it will not. If it cannot be made to fit the data, then it should of course be discarded. As far as ridicule: I am a joker myself, and I have done my own fair share of trolling and ridiculing for fun. I have a thick skin. So I do not mind the jokes at my expense; I am just hoping that after poking a little fun at me, you all will take a look and consider the essence of what I am saying, ignoring temporarily whatever mistakes I've made. I don't think you're quite getting the point of what I'm asking, @Joe. Forces act on matter. So what makes different kinds of forces act differently on different kinds of matter? If it's all coming from spacetime, why isn't there only one force? And even if there are different strengths of forces, if it's all coming from spacetime, why do some forces act on some matter, but not on other matter, and why do some forces attract some matter but repel other matter? I don't mean your theory, I mean something as simple as Franklin's discovery that there are two types of what he called "electrical fluid." That is an excellent question of course .... one that I cannot answer, but I feel that I can give a partial contribution in the sense that it has to do with "perspective" .... i.e. that the energy state of matter is related to the number of "viewpoints" ...... to speak anthropomorphically, space does not "like" multiple viewpoints. So it either tries to congeal them into one single viewpoint or else it tries to push them so far apart they have zero effect on each other. As for the "flavors" of forces, I feel that gravity sees everything, including the other forces, whereas each of the other forces only see partially. Why, I have no idea, but it is a good question. One last thing: About the other forces, at this point in time I am merely speculating that they may "flip" as well. I have zero evidence of this. For gravity, I think the entire Dark matter / dark energy / cosmological expansion discussion hints at evidence of flipping. I do not know of any evidence of this for the other forces -- so at this point it is only a guess. Maybe they don't flip. I don't know. I have long been suspicious however, of the standard explanations of why electron orbitals don't decay into the nucleus. Well, @Joe, here's the thing: there's a simple explanation for this and it's that matter has charges. Different kinds of matter have different, as you say, "flavors" of charges, and it is these charges that both generate the forces and are acted upon by them. So according to all our measurements, experiments, and observations, forces come from matter, not from spacetime. Do you understand the depth of the evidence here? Franklin was the first one to discover this, for the electrical force and electrical charges, and presented compelling evidence of it in the eighteenth century. No one has overturned Franklin's findings since, and many have tried. You have a pretty tough row to hoe here. I do understand the depth of the evidence; as far as the other forces, like I said, I am much less confident. Especially since for anyone pursuing GUT the big sticking point is that gravity doesn't fit. So it may be substantially different than the others in being subject to "perspective" as I have outlined. The only thing that I will observe is that my theory, so far as I know, is consistent with the current theory of particles generating forces at typical distances -- so there is good reason that theorists of the past posited that it was the particles generating the forces. What I am maintaining is that if some tweaking of my theory can predict the effects of dark matter, dark energy, and cosmological expansion, while doing away with all of them, that would be pretty strong evidence in my view that I'm on the right track. If it cannot be made to fit this data, then obviously my theory is wrong. What I am really hoping for is for some astrophysics team to take it just seriously enough to test it out. I have sent it off to many of the universities that specialize in astrophysics, but I'm pretty sure that since I am a novice when it comes to Physics --- it has been disregarded after reading a few sentences. So maybe no one is looking at it. Given the perplexing nature of dark energy and dark matter, I think it would be worth taking seriously enough to check out the numbers and see if it can be made to work or not. @Joe, it's not enough to explain DM/DE. Your idea also has to explain everything that current established theories explain, and not contradict any of them. Otherwise it falls to Ockham's Razor. As I explained above, since your idea doesn't explain the observed phenomena in galactic cluster collisions because the gravitational lensing only appears in one direction, you have a fatal flaw in the portion where you propose this gravity reversal. If this were a field effect, it would spread in all directions; instead, it spreads not only in a single direction, but one where there isn't enough mass to explain it, and further more there is no evidence of it spreading around the place where the most mass is. Now you also have a fatal flaw in your first proposition, that forces are generated by spacetime not by matter, because of all the evidence that forces are generated by charges and act on them, indicating that forces come from matter. Well, as I said, I am a novice. I am sure that many questions will come up that I am unqualified enough to answer. This is why I am hoping that some team will take it seriously enough so that they might be able to answer such questions. For example: you did not respond to my earlier proposal -- that the lensing out ahead of the bullet cluster might be due to a galaxy in the foreground (by "foreground" I mean between the source of light and the viewer) bending the light towards the bullet cluster when current theory expects it to bend the other way. When you did not respond, because I am a novice, I had no idea if I was saying something irrelevant or not. My point is that an expert might be able to defend my theory in cases where I cannot defend it because I lack the expertise. So I am just hoping to be taken seriously enough that it will be thoroughly investigated. Why does it take so much to convince people of nonsense. No time at all, it's the unconvincing that's difficult. I'll say it once, more; only charge exist and is the center of its unique field. Stop using nonsense as a logical argument. I know we were not there when Hypatia was burned. @Joe, I am taking you seriously; you're not acting like a troll, crank, or crackpot. But you have to dot the Is and cross the Ts for stuff like this, and that means that when someone points out that your ideas don't explain more than existing theory, or that they conflict with observation and experiment, you need to drop them and try something else. If someone like me can point out discrepancies you can't expect that there is someone else out there who somehow "knows more" but won't notice the same thing. 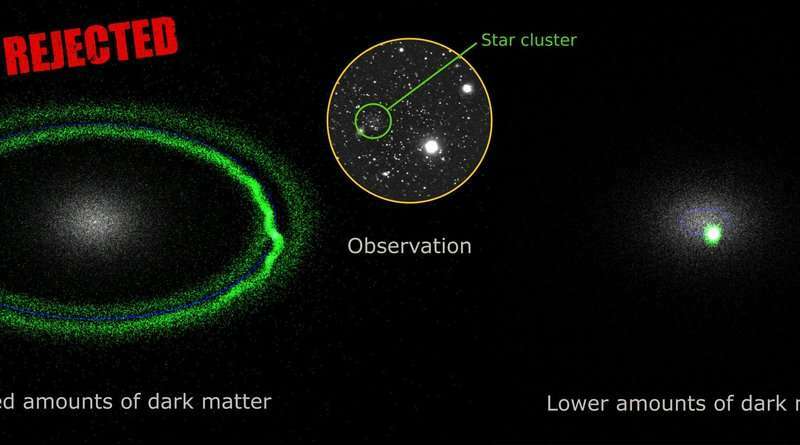 A single galaxy, or even several of them, can't explain the observed lensing. It's too strong to be caused by such a small mass. Remember, most of the mass is still close to the impact site, as gas that was in the clusters. They can tell because they can see the gas and they can see the galaxies and they can measure how much each component masses. So, in fact, I have responded to your earlier proposal. What is the angle between 2 objects? Starting with the simplest scenario, does your theory work through all the scales you imagine it to between only two objects with no other outside influences? I am not saying "knows more" than you do. I am saying "knows more" than I do, and so may be able to tweak my theory in such a way so as to respond to your objection constructively. The first time I heard of "lensing" was in this discussion thread, so I would hardly be qualified to analyze what you're saying and try to respond to it in the context of my theory. I am not refusing to let go from stubbornness -- I just need to take some time and learn about lensing more thoroughly, and then I might indeed be convinced. But consider: current dark matter theory posits that it is more common in our universe than hydrogen, yet galaxies like NGC1052–DF2 seem to have no need of dark matter at all? So current theory requires that we believe the equivalent of finding an entire galaxy without something more common than hydrogen. What does occam's razor say about that? You claim no protons exist, only neutrons with positrons. How does adding the mass of a neutron to the mass of a positron result in a lower overall mass? @Joe, if a galaxy can exist without dark matter then obviously the phenomena attributed to dark matter cannot be due to an inherent property of gravity since the formation of a galaxy requires gravity, but the effects of dark matter are not seen for all galaxies. This would be a second, compelling piece of evidence (beyond the Bullet Cluster and others like it) that dark matter is not a gravity field effect, but is caused by something else which pretty much limits the field to some sort of material substance, that is, particle dark matter. I will point out however that further study of NGC1052–DF2 is required to definitively establish that it has no or little dark matter. @Joe, also, I have to point out that there's no way to "tweak" initial assumptions, like "gravity reverses X number of parsecs beyond where it is generated," or "forces are generated by spacetime, not matter." These assumptions cannot be correct if they are rejected by observations, along with any results of reasoning based on them. This is basic logic. @691Boat: I listed a series of what I thought were implications IF my theory about dark matter were correct. Many of the things listed are highly speculative and probably wrong. So I would ask that you let those things slide for now. I think that if my theory can explain the effects of dark matter, dark energy, and cosmological expansion -- then it would be worthwhile investigating all the other things. @ Schneib: IF NGC1052–DF2 happens to be located very far from other galaxies, then my theory would explain its lack of dark matter pretty well, wouldn't it? I was not talking about tweaking initial assumptions; I was talking about coming up with an answer to your objection that fits within the assumptions. How much tweaking has MOND gone through trying to answer objections? Maybe you don't know what you are doing; therefore, must look smart. I get it. Without the use of angles or darkmatter F = (1.047 X 10-17) m1m2 [-cos(Θ)] / r2 where tan Θ = r / (1.419 X 1022) what is this formula supposed to represent? for e.g. where did 1.047 X 10-17 evolve from and 1.419 X 1022 are these arbituary nnumbers? Joe1963> @Granville: No "tricks"; obviously my theory had to be consistent with current theory at normal distances; this logically necessitates using the gravitational constant in my theory. I am not trying to fool or trick anyone; I am trying to posit a new hypothesis, and I would like some people with greater skill than I possess to at least give it a try and possibly work out whatever mistakes and inconsistencies there are .... then, it will either fit the data or it will not. If it cannot be made to fit the data, then it should of course be discarded. Im decoding your formula in greater detail than you are? Joe1963:- F = (1.047 X 10-17) m1m2 [-cos(Θ)] / r2 where tan Θ = r / (1.419 X 1022) is an interesting formula, where did it materilise, did you find it on the web, it does not appear to have any relation to Newton in its formulation, where is the constant 1.419 X 1022 to found in the list of scientific constants as for example What is tan theta equal to? in right triangle trigonometry (for acute angles only), the tangent is defined as the ratio of the opposite side to the adjacent side so here is one clue of your persistance on the use of "angles" but what relavance has this to gravity, it has no acute angles.. im decoding your formula in greater detail than you are while I am asking you to do the same of your own formula. @Joe, I don't follow your reasoning on why NGC1052-DF2 being far from other galaxies would validate your conjecture; and in any case it's close to NGC1052 (thus its designation) so it's not far from a large elliptical. Also, in any case, the Bullet Cluster evidence seems to pretty much rule your conjecture out, so it would be logically ruled out. You won't be able to keep those assumptions; they conflict with physical facts. Da Schneib:- no one can realy blame him, he's mentioned darkmatter and now MOND, he is still up to his psychological tricks on the mind - for example "Many of the things listed are highly speculative and probably wrong. So I would ask that you let those things slide for now" Have You Noticed Da Schneib how he says "So I would ask that you let those things slide for now" he's expert at it ! - When theorists for reasons known only to thems selves, create entitities such as darkmatter and MOND for no apparent reason and the list is quite comprehensive, you can hardly blame lesser mortals with something to prove, coming up with their own equivilent. @Granville: I've explained in the reddit post exactly how I came up with the numbers that I used. I explained this just in case I made a math error in deriving the numbers -- so that anyone could see what I was trying to say and duplicate it. Since I am theorizing that gravity becomes repulsive at a certain distance, I guessed that this must occur at a distance just beyond the radius of the largest known galaxy. I figured that would be a good starting point. Then the other constant is based upon the gravitational constant such that the formula will reduce to the formula we are all familiar with when you are talking about distances less than galactic. @Da Schneib: You have given me homework to do. I will try to educate myself more about lensing and also about the other objections you've made. At some point I will either have to figure out a response or else admit that my theory cannot be correct. @Joe, gravitational lensing is quite simple. The reason it is associated with Einstein is because his General Relativity Theory (GRT) showed that gravity bends light. Eddington confirmed this for the first time during a total solar eclipse visible in Africa a couple years after Einstein published the 1915 paper that makes this prediction, which is the famous paper introducing GRT. When light is bent, magnification can occur, just as it does when light is bent in a glass lens. If the lens bends the light toward the lens' axis, then the magnification is positive, and since gravity is in most cases an attractive force, this is exactly the situation when light passes near a strong gravity source, i.e. a large mass; the light is bent toward the center of the mass. In fact, it is not only GRT, but also Newton's Theory of Universal Gravitation (TUG) that predicts light will be bent in this manner; the difference is that GRT predicts about twice as much deflection. What Eddington measured was the *amount* of deflection, and he confirmed that it was much greater than predicted by the TUG, and that the prediction of GRT was well within the error bars of his measurement and the prediction of the TUG was not. Einstein, not knowing at the time that the universe is filled with galaxies (it would be decades before this was discovered) felt that the effect could only be caused by stars passing in front of other stars and therefore would be extremely rare. It was 25 years before Fritz Zwicky (who also discovered dark matter by noting that the dynamics of galaxy clusters could not be explained by the visible mass of the galaxies in them) recognized that galaxies and galaxy clusters could cause gravitational lensing, and another 25 years before astrophysicists first realized that quasars were a perfect test for the effect. Yet another 15 years would pass before the first gravitational lens was discovered, in 1979. By the late 1980s, a couple of dozen gravitational lenses had been discovered; by the turn of the century, hundreds were known. Today, improvements in image processing, along with the advent of massive galaxy imaging projects like 2MASS, BOSS, and so forth have allowed the detection of weak gravitational lensing and it has been found to be ubiquitous. Nearly every galaxy or galaxy cluster we have looked at has turned out to be lensing one or more background galaxies. It's a fairly simple matter to estimate the mass in a galaxy or galaxy cluster represented by the visible matter in it. It's another fairly simple matter to use GRT to figure how much lensing that mass should cause. In almost every case, it turns out that there isn't enough mass. And this is not a few percent off; there's not enough mass by a factor of four or so. We might argue about error bars for a few percent but by a multiple of four it's pretty hard to miss. Now, so far we've only discussed positive lensing. @Joe, if your conjecture were correct, then we should see weak negative lensing farther away from massive clusters and galaxies. Furthermore, because we are now using image processing techniques, we wouldn't miss them. In the case of galaxy clusters, there should be "ripples" in the lensing, because the galaxies' gravity would add to the cluster's gravity out to some distance, but then start subtracting from it when it went negative, and this should happen for each galaxy in the cluster. No one has reported this. No "ripples" are visible in the lensing maps. This is a second piece of strong evidence against your conjecture. Well, as I said, I must research it and I will consider everything that you said; but please consider the following idea. If what I am saying is correct, then over billions of years much of the density of the universe might become fairly uniform with most of the galaxies fairly uniform spread through it. Also, there would be a fair amount of dust scattered in the interstitial space between galaxies, again in a fairly uniform fashion. With a set up like this, mightn't each galaxies lensing be a combination of it's own normal gravity plus the negative gravity of all the surrounding galaxies? IF this is true, then we could look at the lensing of galaxies at the edge of the universe to confirm. What does lensing look like for galaxies near the edge? What's "near the edge" mean? And you're not considering what I said; you still are making the same assumptions, and they're still denied by observation. Albert Einstein's complete relativistic revision of Sir Isaac Newton's laws of motion and gravity concerning MOND in retreating galaxy Bullet clusters, two colliding clusters of galaxies, at 3.7 billion Lys https://upload.wi...sing.jpg showing the Bullet Cluster from the Hubble Space Telescope with overlaid lensing contours where MONDs relation to the bullet clusters darkmatter, a modification of Newton's laws in properties of galaxies created by Mordehai Milgrom in 1982. Having just had an in depth analysis of Sir Isaac Newton's laws of motion and gravity and their connection with the properties of mass concerning their motion and gravitational acceleration, their use in physics in preference to Einstein's complete relativistic revision of Newton's laws of motion and gravity, their application in orbital, galactic motion and gravitational lensing. What is now the relevance in MOND as Einstein succeeds Newton? I am considering what you said, and am trying to respond to it -- I am saying that if the lensing of each galaxy sums up the light-bending effects of that galaxy's normal gravity, plus the negative gravity effects of dust and gas in the space between galaxies, plus the negative gravity effects of surrounding galaxies, and if the distribution of galaxies is fairly uniform, then most galaxies would seem to be the center of a much larger mass than we can account for -- hence dark matter. Because of the relative uniformity of distribution the ripple effects that you're predicting might be extremely difficult to find unless an experiment is set up specifically to find them. As far as "edge" -- yes, I am saying that the universe has an edge. Since the essence of my theory contradicts several tenets of current theory -- it should not be surprising. So, going back to the bullet cluster: What is interesting is that a lot of dust and gas is very close and is basically a part of the galaxy; centered in a different place than the stars, and the center of mass after incorporating the lensing due to dark matter is in yet a different place from both the stars and the dust. Current theory takes this as evidence that dark matter is something different than stars or dust or gas. My theory would claim that the surrounding environment of other galaxies and/or intergalactic dust and gas must be very unusual and is causing lensing to center in a different place than is typical for most galaxies. But in giving due respect to what you're saying, that this is not possible, I must do the "homework" to see if I agree with you. Sorry, @Joe, you're just not making it explain the Bullet Cluster and the bunch more like it. All that mass in the middle, but the lensing is way away from it. And not all around; just in the directions that the clusters were moving before they collided. DaSchneib. Agree with everything you say. But I just love to be picky about this one. The reason it is associated with Einstein is because his General Relativity Theory (GRT) showed that gravity bends light. This no criticism Joe, but your plugging holes (leaks) as fast as their appearing, you're like the captain of his ship as the last rat swims to shore, I hope your acknowledged thick skin is watertight. Joe1963> I am considering what you said, and am trying to respond to it -- I am saying that if the lensing of each galaxy sums up the light-bending effects..... .
@granville: Any current dark matter theory has plenty of holes to be attacked. That is what makes it interesting. I am currently on defense because it is my theory being probed. Any theory must ultimately be able to withstand serious questions or fall. @Da Schneib: I've been confused because the whole lensing thing is new to me and I never heard of the bullet cluster before; I was treating it as if it were two single galaxies colliding when in fact, obviously, it is two clusters of galaxies. What about this: The dust and gas left behind in the collision has by far most of the baryonic matter, and normal modeling would be expecting the gravity from this mass to be pulling, but at the distance the two galaxy clusters are away from it, the gravity from the dust would be pushing instead. In the current model, this push would be counted as if it were caused by mass somewhere coincident with the visible galaxy clusters. This interstitial gas and dust surrounding galaxies may also be contributing to the lensing effect in a way that current understanding of lensing does not properly account for. To borrow an image from biology and use it as an analogy: This interstitial gas and dust would sort of be like "cell walls" in plant cells where the galaxies would be like the nucleus. These walls would also contribute to the lensing effect of each galaxy because these walls would be bending the light towards the galaxy at the center. Another comment about this interstitial thing: My prediction would be that there would be a sharp dividing line around each galaxy, obviously where gravity flips direction - there would be very little gas inside this line, and a lot outside because all the galaxies would be pushing this gas away from themselves. So each galaxy would be inside a little bubble clear of gas, with gas surrounding this bubble. Question: IF we were inside a bubble like this, wouldn't the gravitational effects of the surface of this bubble act like a magnifying glass? Would there not be exaggerated lensing effects no matter what direction we looked, whenever we are talking about inter-galactic objects? And if each galaxy is surrounded like this, wouldn't this have a huge effect on lensing when we are looking at that galaxy? I would be very curious to find out if NGC1052–DF2 lacking dark matter ends up being confirmed and then also finding out if lensing effects still exist around it when we look at it. Fascinating. I'm curious, why persist with obvious nonsense? This has been a problem now for 4000 years. Isn't it time we considered Logic! Can't be money, the thing destroying the world and genocide. It can't be anything you observed and now we learn it might no be observable. For a thing to be proven to exist one must show a proof that describes why it's necessary and sufficient. You can't invent something to correct your measure. Your measure is either correct or incorrect dependent upon capability. What you have demonstrated it can't be measured. This is not necessary or sufficient. Your not knowing does not create a necessary or sufficient need for Dark Matter. Lastly, get help! There are too many things you haven't heard of! Joe1963:- there are too many things you haven't heard of that you see in magazines, newspapers, on sky's science channels, the internet, phys.org and even the news channels portray in greater detail events your describing here that you haven't heard, even monks who lead a monastic life of seclusion in their cells know more and have heard of more that your acknowledging you haven't heard of. Although this has no bearing on the integrity of your formula, with everything you haven't heard of and the list is growing daily, how are you to know that you have a fully functional formula? @granville: Any current dark matter theory has plenty of holes to be attacked. I've been confused because the whole lensing thing is new to me and I never heard of the bullet cluster before; I was treating it as if it were two single galaxies colliding when in fact, obviously, it is two clusters of galaxies..
@granville: That is the point. I don't know. It is a hypothesis. I am defending a hypothesis that probably is not true. I defend it in order to solicit every possible criticism and to try to respond to every possible criticism -- if there is any aspect of truth, that will come through over time. If it is completely false, that will be made apparent over time too. I am not disposed (at this time) to dump it easily -- but of course at some point if it is not true, then I will have to acknowledge this. @hyperfuzzy: Since you seem disposed to discuss wisdom and philosophy rather than my theory, how about this bit of wisdom from the past: "If you have nothing nice to say, then say nothing?" Harsh criticism that Da Schneib has shown I can respect, because he is at least taking the courtesy of explaining his skepticism --- even if I am ultimately a silly old man deluded by his own daydreams. Here's the problem with that. If you have negative gravity, then it acts like a double-concave lens: it disperses instead of concentrating. So instead of magnifying background galaxies into curves that surround the center, it demagnifies them into curves that all point away from the center. That is a signature we could not possibly miss. It's a type of gravitational lensing we've never seen. It would be unmistakable. And it looks nothing like what we see at all. It can't be mistaken for it. You've never played with optics, have you, @Joe? I have; but doesn't what you're saying depend upon how far out you're concentrating your analysis from what you're focussing on? And, if our galaxy is surrounded by a nearly perfect sphere of gas such as what I've described, wouldn't there tend to be exaggerated lensing no matter which way we looked? Since the light would be coming to us from the outside of this sphere, and passing to us who are inside the sphere? I do not know the specific procedure used when assessing lensing of an astronomical object, but isn't it possible that because they are not looking at all for the types of effects that I'm describing, they are not going to see them? I would certainly agree that if someone were to take what I am saying and specifically look for it, there is no question that it could be disproved. @Joe, if the lens is positive the background galaxies all look like little smiles; if it's negative they all look like little frowns. Like I said kinda hard to miss. And I'm certain you've never played with an optics bench. @granville: Any current dark matter theory has plenty of holes to be attacked. Nothing compared to the 'holes' in your 'theory'. For one to effectively attack a scientific theory, it helps to either prove it nonsense/wrong or/and come up with a creditable alternative scientific theory. You've done neither. In fact, I fail to see you poke even a single 'hole' in dark matter theory and don't know of any noteworthy 'hole' in dark matter theory. I'm not saying dark matter theory is correct; I have no personal opinion on that either way because there have been creditable alternative theories to the currently perfectly creditable dark matter theory which is so far not proven wrong. All these scientific theories were made by people smarter than you or I and who know much (of relevance here) we do not. You've just defined a hypothesis of a theory! Your hypothesis "psychological tricks on the mind" has come to it finality today "That is the point. I don't know. It is a hypothesis. I am defending a hypothesis that probably is not true" you have read the comments in "teaching little lies to little children so as to teach them the bigger lies of quantum mechanics" you're a teacher, you're carrying out this philosophy; A perfect experiment with a perfectly flawed hypothesis, perfect absolute ignorance of every detail of gravity and orbital mechanics. Well planned and executed experiment Joe, can we read your experimental write up on psychological tricks on the mind before publication, is that against your publishing conditions Joe. Your book will be well received Joe, because you have been challenged by some very knowledgeable minds! Serious criticism is different than just, essentially, yelling "NO!" at every proposition. I may not not be an expert, but I know enough about optics to know that your analysis is biased. When looking at these distant galaxies, the angular diameter is going to be pretty damn small. I've explained again and again how surrounding galaxies would tend to bend light towards the center of whatever object you happen to be looking at -- counteracting the opposite effect coming from the particular given object. This would mean that lensing would be much more complicated than you're letting on. At the very least there would be something to investigate. As far as the sphere surrounding our galaxy that I am positing, I think that you are mistaking the effects of a concave lens (concave on both sides) with the one-sided concave semi-transparent shape I'm positing. Joe1963 what ever this is supposed to be its fininished the comments do'nt say was this is? Serious criticism is different than just, essentially, yelling "NO!" at every proposition. I may not not be an expert, but I know enough about optics to know that your analysis is biased. When looking at these distant galaxies, the angular diameter is going to be pretty damn small. I've explained again and again how surrounding galaxies would tend to bend light towards the center of whatever object you happen to be looking at counteracting the opposite effect coming from the particular given object. This would mean that lensing would be much more complicated than you're letting on. As far as the sphere surrounding our galaxy that I am positing, I think that you are mistaking the effects of a concave lens (concave on both sides) with the one-sided concave semi-transparent shape I'm positing. @Joe, optics can't be biased. Then why don't we see the reverse effect coming out from the directions orthogonal to the direction of travel? There's no mass to offset the effect there. The simplest explanation that fits the facts is, there is matter we can't see, and that doesn't interact much if at all, moving along with the galaxy clusters, and when they collide the matter that does interact is held back and the matter that doesn't isn't. No shells around our galaxy are required, no unobserved field effects where an inverse square force reverses without any cause, no unmade explanation for why the force acts in this direction and not that is needed. The longer you go on with this the more excuses you seem to need to make. Ockham's Razor is killing your conjecture. Why is Modern Physics so full of nonsense; thought we were intelligent beings. It isn't full of nonsense. But it is nonsense to many people who overestimate their own intelligence while underestimate other peoples intelligence who are the ones that came up with the intelligent ideas. These people who overestimate their own intelligence typically arogently declensionally assume if they don't understand it then it must be nonsense. I don't understand tensors in general relativity but don't assume it nonsense just because of this but have the default assumption that it must make sense because it is made by people smarter than me who know things don't. This should be the attitude by everyone. Misedit; that should be "...who know things I don't"
It's nonsense articles in the darkness of matter bringing the nonsense of physics that's bringing the nonsense theories to the absoluteness of nonsense of discussion without end, with the proponent being a self confessed innocent on any and all of the nonsensical discussion taking place, it's intriguing how much nonsense can be extracted from so much vacuous nonsense. But don't let scientific vacuous nonsense get in the way of good old vacuous scientific discussion, your nowhere to scraping the barrel yet as when you've put the finishing touch's to this vacuous master piece, present it to the Tate to hang next to the blank canvas. You never studied logic, did you? You don't need to know any science to see nonsense. Agreed; all you have to do is see the anti-science arguments by people that don't understand science but just think they do. .......usually taking their lead from equally scientifically illiterate cranks, who usually have books or DVDs to sell. Or are just plain dumb. @ Da Schneib: Are not all these calculations made with a computer algorithm? If so, would not current algorithms be accounting for the current fact that they incorporate the idea of cosmological expansion? If, as my theory is claiming, this expansion does not exist at all, wouldn't this orthogonal factor show up if the algorithm was re-configured such that expansion was done away with? If this might possibly be true, please respond. If I have misunderstood your question, please clarify. @Joe, they're image processing algorithms. There's nothing to do with cosmic expansion written into them. And in any case, cosmic expansion doesn't happen on the scale of galaxy clusters. These are image processing kernel algorithms, which operate at the pixel-by-pixel level. I can't imagine what one would need to do in order to "incorporate the idea of cosmological expansion." It would be like figuring out where to put the nails in a tree so when you cut it down and saw it into lumber it turns into a house. This is not an advisable pursuit! The algorithm is programmed to weed out nonsense. The saying "common sense ruins physics" will emerge and the algorithm will start compiling a little list – darkmatter, darkenergy, virtual particles, ripples in space time, quantum fluctuations, zero point energy, singularities, as these will be the first on its little list, then it will start a sub list of interconnected nonsense as this nonsense has woven an intricate web of interconnecting nonsense! But may be a scientific algorithm of scientific nonsense is a good idea, it will sweep the cobwebs of science with a new broom. Everything was known at the end of the 19th century. Modern Physics is bogus. No wonder nothings fits! So your algorithm is simple, everything after Maxwell! Everything was known at the end of the 19th century. No, it clearly wasn't. Both relativity and quantum mechanics was unknown before the end of the 19th century. That would mean, for example, nuclear reactors don't work. Haven't you heard of relativity? It would also mean modern computers don't work because the semiconductors in their transistors require the equations for quantum physics to be basically correct. In fact, if modern physics is bogus then you wouldn't be able to post your message here thus you have proved modern physics correct by your post. So presumably if Newton had never discovered Gravity we would still have tethers holding us on the ground stopping us continualy flying of into space. Not sure if this is at all relevant here because don't see the point you are trying to make but; Gravity isn't a piece of technology but nuclear power stations and computers are. If our understanding of the laws of physics was generally in the main wrong then nuclear power stations and computers would probably not work but we would still expect gravity to work. If GR etc. was never defined; we would have been better off; since then, we would have more controls over the fields instead of stupid tests for GR or Colliders for non-existent particles! LOL, we're lucky we haven't blown ourselves out of existence. Imagine an atomic reaction where we redefine the orbiters as random until all matter within our G field turns into an unstable plasma! Don't worry its field will contain the center of the explosion; therefore, depending upon the range of the explosion, it might pull itself back together. Charge always complies! @ Da Schneib: I've thought about your comments for days and have come up with some questions. Looking at the images of the bullet cluster showing where gravity is concentrated, it occurred to me that the algorithm must be a composite (sorry if I am not using the technically correct term). What I mean is that if it was depicting a simple image of the location of gravity, then the topological lines of gravitational force for each distinct galaxy should be visible in the picture. They aren't. This leads me to believe that when the algorithm is calculating the implied gravity of the cluster, it might be looking at light bending around each galaxy, treating each galaxy as distinct, and then summing up all the results and then building the composite image from that data. When looking at the bending, the algorithm would be simpler if they did not worry about direction. Why should they? They would have no reason to question which way gravity is pulling. Even if they did, all they would see is that light around any individual galaxy is bending way more than the mass of that galaxy can explain, so the algorithm would simply calculate how much that particular galaxy bent the light, and later this would be attributed to greater mass. IF the algorithm works in this way, my theory would explain why, when they sum up all the masses, they would get a result suggesting a large quantity of dark matter. Going back to the huge quantity of dust and gas left behind: Because this cloud has not set points of concentrated gravity like the cluster, according to my theory, on the interior of the cloud, there would be near infinite combinations of pushing and pulling. Since an amorphous cloud would allow the previously described algorithm to operate, I suspect that a different algorithm might be used where only the bending effects at the very edge of the cloud would be looked at. This might result in a conclusion of no dark matter. As we've discussed before, further out from the cloud, in a place where they are looking for attraction, the overall gravitational effect of the cloud would be repulsive instead, and would be further interpreted as caused by more mass in the visible clusters. There would not be concern about using two different algorithms, because according to current theory, both algorithms should give the same result: i.e. it should not matter if you look at gravity of each point and then make a composite, or if you look exclusively at the edge – under regular theory this should not matter; but under my theory it would make a big difference. They might have used a different algorithm with the visible cluster because they would have wanted to see if dark matter was uniformly located within the cluster. If it seemed to be uniform, then they would have just amalgamated the data together. Lastly, I suspect that you're going to feel that I need to do my homework and dig into the algorithms myself to answer my own questions – but I must point out that for someone with my limited abilities, that would be many years work I think. The alternative would be if someone very familiar with how these algorithms work, would take just a few minutes to confirm or else refute my suspicion that two different algorithms were used. looking back a few posts ago -- I meant to say that the amorphous cloud would NOT allow the previous algorithm to be used. oops, excuse my interruption; but, Gravity is the summation of all surrounding matter = summation as charge over our infinite space. Since charge 'always' complies, the near field will also. So, may I suggest, a change of perspective, remember, from +/- infinity, no matter how you conceptualize, this is what you're trying to understand with faulty tools. Follow me, for a second. A charge at any point within all time and space only responds to the superimposed point, representing it all and the solution is bi-polar. Polarity! So are we interpreting the correct math, correctly? Looks pretty simple. Reality! Class, dismissed! "If the final centroid of a galaxy differs significantly from the starting centroid, that galaxy is rejected. detection software (which provides the initial unweighted moments, and can "detect"
occasional noise peaks) are rejected." Am I reading correctly? "... if the moments are negative" then that particular galaxy is taken out of the calculation? Alot to work through, I know. :) But, in the end it might make what some of the others are talking about, a little clearer. Btw, it is not necessary to invoke negative gravity for any lensing effects. All it would take is two galaxies or other objects (perhaps even side by side) providing gravitational 'pull' in opposing (ie each towards 'self') directions and thus cancelling out each others' lensing effects, at least on the side that they interact on the most. This is different from requiring the image to be 'filtered' by 'going through' the lense created by another object 'in front' The absence of lense effects on the sides does not automatically mean that the lense is not being generated at all; it might just be being cancelled out. The DIRECTION the gravity is coming from is an entirely separate matter to its POLARITY. It MUST be treated as such! OK, not science; only trying to prove self correct with own stupidity! Just read your blog. "Sigh". I do hope that you can tolerate some harsh but constructive criticism. This is going to be the longest post I have ever done. Big "Sigh". I am amazed that you actually believe that you have written a serious paper. Don't take this the wrong way, but it is a very badly written paper, both in style and in the way that you have constructed any arguments. Unfortunately, Joe, I have to agree with one of your reddit posters; you are really not educated or qualified enough to properly understand what you are 'speculating' about, or even about the requirements/standards that must be met for writing a serious paper, and requirements are very strict. Basing a scientific paper on speculation is a big no-no. So is repeatedly making the point about how little you have understood the subject you are attempting to interpret and build your theory on. Expecting others to do for you what you should be able to do for yourself to demonstrate your own theory is another big no-no. (You do both these things many times) If anything, this demonstrates a lack of understanding and is also seen as lazy. As a general rule of thumb, a theory that you develop can only ever be as solid as the knowledge and understanding that you are relying on for your basis. And yes, I heartily agree with others in this dark matter thread; you do have a problematic background understanding of the physics (and maths) that you are relying on, to build your theories. By 'background' I do mean the fundamental concepts and definitions that give meaning to the more advanced knowledge required here. I cannot urge you strongly enough to revisit your first year physics subjects for introductory type explanations. The definition of 'dimension' varies according to the type of entity that it is being used to describe. You have not even understood such basic concepts as the distinction between a spatial dimension & a temporal dimension. Movement in space is a 'physical' act & is a physical displacement in a physical direction. Movement through time is not a physical direction; the direction can only be described as 'forwards' or 'backwards'. But it is still possible to be moving in time (ie, 'forward'), but not moving in space (ie standing still). As a concrete example you might be standing at a bus stop & be waiting for 1 hour. Regardless of what you appear to believe, this is still a (1 dimensional) 'forward' displacement on the temporal axis of a graph. From your page: "De Moivre's theorem works because the square root of -1 is a real number. It is not imaginary. There is no imaginary plane; the square root of negative one is ambiguous, but real." There is more, but I think this is plenty, for now. I am unqualified to critique my own hypothesis as regards advanced Physics -- but none of your responses does this at all -- they only point out my lack of qualifications, which is already established. Your comments on "i" show that you're not seriously thinking about what I wrote. I've taught calculus for a decade; believe me, I know how "i" and the imaginary plane work -- and I have had several phds confirm what I am saying here -- though, like you, they say that I am saying it in an unprofessional, even if correct, way. I do not say this to you trying to imply that you do not know mathematics. That is not what I'm saying. I am sure that as regards "i" -- if we spent a few hours debating we would eventually agree. I mean, all I am saying there is that if any magnitude is thought of as a vector with 3 directional components -- then radical of negative one could be explained in a way where it is not imaginary. This is pretty non-controversial. To save time, let me explain, because while it is not disputed or controversial -- it is unorthodox so there is danger of talking past each other. I am going to over-simplify and restrict it to a standard cartesian plane for brevity, instead of three dimensions. Imagine multiplication as an area. Start at the origin. Move one unit in the -x direction, and then one unit in the negative y direction. This indicates a multiplication producing an area in quadrant 3. According to my unorthodox convention, this is a signed area of - - 1. The two negatives in front designating what quadrant this area is in. I am saying that mathematics would be less ambiguous if our sign convention was much more rigorous than it is. So, again, to save time: It would be a waste for us to spend hours and hours debating the math only to find that we have different ways of expressing the same concepts. The main mathematical point I've made is that continuous motion (including continuous directional change) can be accomplished necessarily and sufficiently in three dimensions. I have proven this fact; it is incontrovertible. From this I logically proceed to hypothesis: MAYBE 3 and only 3 dimensions in space are mandated; MAYBE motion in space is directly dependent upon angle and only indirectly dependent upon distance; MAYBE this means that the gravitational force can reverse, IF it leads to a lower energy state as I've explained. So I would really like to avoid rabbit-hole discussions. Whether I am qualified or not I have stated a hypothesis based upon observation (i.e. cosmological expansion, the fact that outer stars in galaxies do not fly off into space based on the galaxies' rotation rates and their visible mass, and the existence of galaxies without the need of dark matter explanations like NGC1052–DF2). My hypothesis makes logical sense (in a strictly logical meaning; i.e. it has no inherent contradictions and it has understandable meaning), and it is capable of being tested and falsified. So if you say "I do not want to take the time to seriously consider your hypothesis because you lack qualifications" I can respect that and we don't need to proceed any further. I do not want to have multiple posts debating my qualifications, because I've already conceded that. First, do you know what you are observing? I respected Da Scheib's criticisms because he was attempting to falsify my theory; he was discussing and putting it to the test in a very proper way, by explaining that the results of lensing directly contradict my theory. I have responded to this by pointing out that it is possible that the algorithms calculating gravity topological lines from the results of lensing may be done in such a way that the types of results my theory would predict are edited out because they are trying to eliminate noise; they interpret these currently non-sensical results as noise and throw them out. I also proposed that my theory predicts that our galaxy may be surrounded in a roughly spherical bubble of gas, so lensing might be exaggerated. So again, if you really do not want to discuss the theory itself, please just say so and let's have an end. Hyperfuzzy, your condescending insults might, in the final analysis, be proven correct -- i.e. that my lack of education has led me to propose absurd things. If what I am saying is that absurd to you, so absurd that it requires no response -- then dismiss me as crank and go on about your business. If however you have some real criticism of the theory itself rather than insults directed at me personally, I would welcome the criticism. There is a very obvious way to completely falsify my theory -- with no doubt at all. If we find a completely rogue galaxy very, very far from all other galaxies and all other dust clouds, such that the repulsive gravity from nearby galaxies I am predicting could not possibly be a factor, and then we find that it still requires a 2/3 preponderance of dark matter to explain its rotation rates, this would completely falsify my theory. Another obvious way: If we look at a galaxy surrounded by other galaxies whose rotation rate necessitates a huge quantity of dark matter, and we re-do the algorithms such that they are sensitive to the possibility of nearby galaxies exerting a repulsive force to hold the outer stars in place -- and we do not find evidence of this force, then my theory would be falsified. Since each field has a unique center, superposition applies therefore optics! I am not sure I am understanding your statements, Hyperfuzzy; it may be well if you could come down to my level a bit and try to explain in everyday language. I am wondering if your statements take into consideration what I found about the algorithms being used to analyze the optics; i.e. that the algorithms may be designed to treat unusual lensing as "noise" and through it out before composing the topological map of the gravity field. Simple, your reason for lensing has no causality, fields don't effect or affect fields! Hyperfuzzy, your condescending insults might, .. i insults directed at me personally, I would welcome the criticism. Illogical response, without bearing to the issue, insulting or not! Don't take physics personally. stay objective. Your response is divergent behavior and belongs to the set of scientist that are uncomfortable learning something new; especially if they "feel" a fool. The only response is "Oh, I see! ", or "I don't understand, is that personal? Explain!" Most, with wisdom, remain quite. Contemplate. Try to perceive holistically; but, guided by Logic! Nonsense, becomes noise. What are you observing? Do you understand the origin of each wavelet of light? Do you understand the conglomerate behavior of all charge clusters of any energy and initial momentum energy, response to any pulsars, etc., etc.?? How about the field that has existed since they existed? We can identify all fields that we can sense; however, we know them theoretically and understand the creation of any wavelet, observable, from DC to infinity. Let's not ignore DC. We call it gravity. After that nothing, NULL. Well, either you are talking utter nonsense or else you are deliberately using a form of expression designed to stump a novice. So either way I cannot respond. :-) read into that what you will. OK, fine; let's ignore the nonsense. point! your gravitational center's seemed off? I think You have made one of the greatest breakthroughs in Cosmology! Using Logic, Space and time are only conceptual, in fact scale that perception where that is a point! Anyway the composite image is the actual image as perceived (perspective of the curvature of the wave front) and the field that was ahead of us that we are overtaking. You can probably measure the frequency shift over time, or it should also be in the frequency shift over space as an expanding universe! Ha Ha. You can prove it! With a little work. Got the optical equipment? In other words you have two images, a wave front that has spent enough time ahead to satisfy relative to me, vot + 1/2 at^2 +Pn = (c+vo)t then add enough time to see a hydrogen_line red shifted since you are approaching from behind. Note the temporal response of Objects interference and the received field. Aha, no different from any other field coming at you, not away from you. Travel long enough you will also catch that distorted wave. Oh! Dr. E, wrong! speed of a wavelet = original wavelength divided by measured Period! If I need to write a paper to show you the papers that came after Maxwell are mostly nonsense then I would not know how to parse that as anything but nonsense! This would suggest; that, what we perceive as the universe is a spiral arm of a vortex! Maybe this would be a better black hole! Forgot multi-sizable singularity, not part of the theory! Maybe the math is wrong!